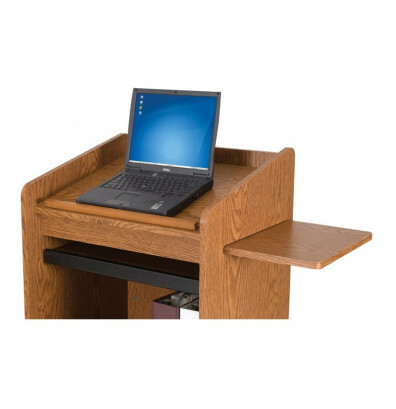 Balt mobile floor lectern features a sliding keyboard drawer and retractable side shelf. An adjustable interior shelf provides added storage. Available in multiple finishes. 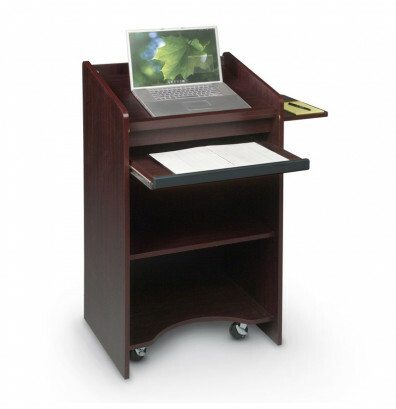 Dimensions: 25" W x 20.1" D x 46" H.
Balt mobile floor lectern is an attractive and versatile presentation implement featuring a slanted top, retractable sliding keyboard drawer, and a retractable side shelf. 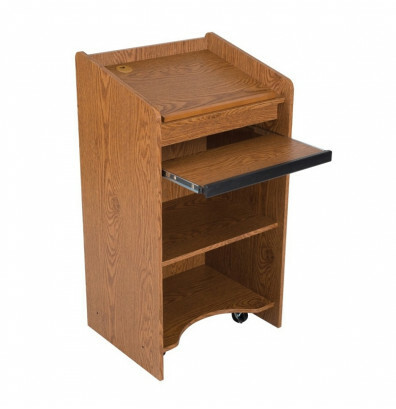 Recessed 3" swivel casters (two locking) provide smooth, controlled mobility when needed. Available in mahogany or oak finishes.